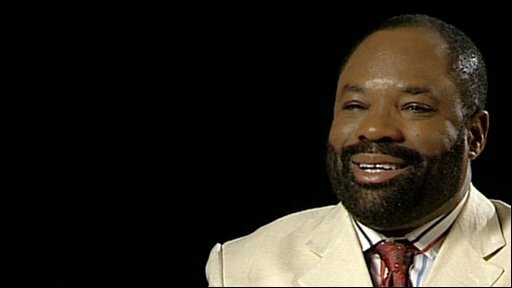 Philip Emeagwali (born in 1954) is a Nigerian -born engineer and computer scientist/geologist who was one of two winners of the 1989 Gordon Bell Prize, a prize from the IEEE, for his use of a Connection Machine supercomputer to help analyze petroleum fields. Emeagwali was born in Akure, Nigeria on 23 August 1954. His early schooling was suspended in 1967 due to the Nigerian-Biafran war. When he turned fourteen, he served in the Biafran army. After the war he completed a high-school equivalency through self-study. He travelled to the United States to study under a scholarship after taking a correspondence course at the University of London. He received a bachelor's degree in mathematics from Oregon State University in 1977. He worked as a civil engineer at the Bureau of Land Reclamation in Wyoming during this period. He later moved to Washington DC, receiving in 1986 a master's degree from George Washington University in ocean and marine engineering, and a second master's in applied mathematics from the University of Maryland. Emeagwali received a $1,000 1989 Gordon Bell Prize, based on an application of the CM-2 massively-parallel computer for oil-reservoir modeling. He won in the "price/performance" category, with a performance figure of 400 Mflops/$1M, corresponding to an absolute performance of 3.1 Gflops. The other recipient of the award, who won in the "peak performance" category for a similar application of the CM-2 to oil-related seismic data processing, actually had a price-performance figure of 500 Mflops/$1M and an absolute performance of 6.0 Gflops, but the judges decided not to award both prizes to the same team. Emeagwali's simulation was the first program to apply a pseudo-time approach to reservoir modeling. Apart from the prize itself, there is no evidence that Emeagwali's work was ever accepted for publication in the peer-reviewed scientific literature, nor that it had any other lasting impact on the field of high-performance computing or the development of the Internet. Neither does he hold any recognized patents for his results. (He does, however, own a US trademark for his website name, "EMEAGWALI.COM".) Nevertheless, Emeagwali was voted the "35th-greatest African (and greatest African scientist) of all time" in a survey by New African magazine. His achievements were quoted in a speech by Bill Clinton as an example of what Nigerians could achieve when given the opportunity. He is also a frequent feature of Black History Month articles in the popular press. Emeagwali studied for a Ph.D. degree from the University of Michigan from 1987 through 1991. His thesis was not accepted by a committee of internal and external examiners and thus he was not awarded the degree. Emeagwali filed a court challenge, stating that the decision was a violation of his civil rights and that the university had discriminated against him in several ways because of his race. The court challenge was dismissed, as was an appeal to the Michigan state Court of Appeals.